A Gift Guide for Academic Aesthetes — Avigail S. Oren, Ph.D.
At around this time each year, the magazines and blogs that I read put out their holiday gift guides. I peruse these lists hopefully, but rarely ever find anything I would be interested in giving or receiving. The items either register as entirely too personal, or are so impersonal as to be meaningless. I do not want to purchase pajama sets for my colleagues and friends, nor do I need more tchotchkes for my home. I am so lucky to have women and men in my life who are dynamic, bookish, cosmopolitan, and who choose to fill their lives with beauty. These gifts are for them. Book of the Month (BOTM) is a great choice for the people in your life who love to read, but who lead busy lives and can't always gather the energy to keep up with the newest releases. BOTM is also a great gift to give to multiple friends at once. My friends Amanda, Danielle, and Jessica are also members, and it's so delightful to spend the first of every month texting about our impressions of the five options. We strategize about whether we should all choose the same book or whether we should choose different books and share them. Of the 24 books I have read so far in 2017, seven came to me via BOTM. My favorite novel of the year, Celeste Ng's Little Fires Everywhere, was a September BOTM pick. In addition to Little Fires Everywhere, I also loved Lisa Ko's debut novel The Leavers and David Grann's Killers of the Flower Moon. Highly recommended! My talented friend Emma Jacobs, who illustrated all of the images for my website and business, recently launched a series of watercolor drawings of cities around the world. As a working journalist, Emma has traveled throughout Europe, Africa, and the Americas. What I love about her travel illustrations is that she focuses on just one building or block, and through that small slice--just what the eye can take in at a single moment--she translates a city's feel, its architecture, its relative chaos or calm. These cards are perfect for wanderlusting friends, or for anyone who enjoys sending beautiful letters. Many of the illustrations are also available as art prints, which could be perfect for colleagues or friends who have recently moved into a new home. This is the perfect gift for the podcast lover, political junkie, or culture vulture in your life. Slate Plus is the membership program for Slate Magazine and Slate Podcasts, and it includes lots of perks not available to non-members, including ad-free podcasts, extra podcast segments, and special members-only podcast series like The History of American Slavery. I am a devoted listener to Slate's Political Gabfest, Culture Gabfest, Double X Gabfest, and Trumpcast, which bring me all the news and commentary I need from week to week. Ever since I first saw this yellow Keystone-patterned scarf, I have not been able to get it out of my mind. Truthfully, the photos do not do justice to the vibrant colors and the drape of the fabric. All of the scarves are beautiful and would bring joy to a nature-loving, fashionable friend or family member. 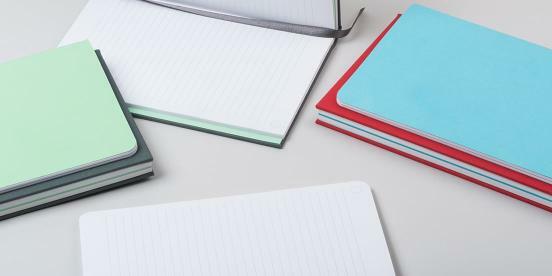 I've long been a devoted fan of Moleskine Cahier Journals, but recently Moo--one of my favorite companies--launched a line of notebooks that I'm absolutely dying to try out. I love that the binding of the hardcover notebooks is designed so that the pages lay flat. The softcover, however, comes in my favored dot/grid layout. The Hard & Softcover Duo would be a great gift for a colleague, along with a nice pen (and you can use this referral link to save 20% on your first Moo order). I favor UniBall Vision Elite Rollerball pens, which are not as expensive as getting someone a fancy fountain pen, but are more than most people will spend themselves. An evergreen sentiment, beautifully designed. The ultimate Academic Aesthete gift.